Plastic coated Playing Cards are fun for all the family. Pack of traditional playing cards. Play all of your favourite card games. 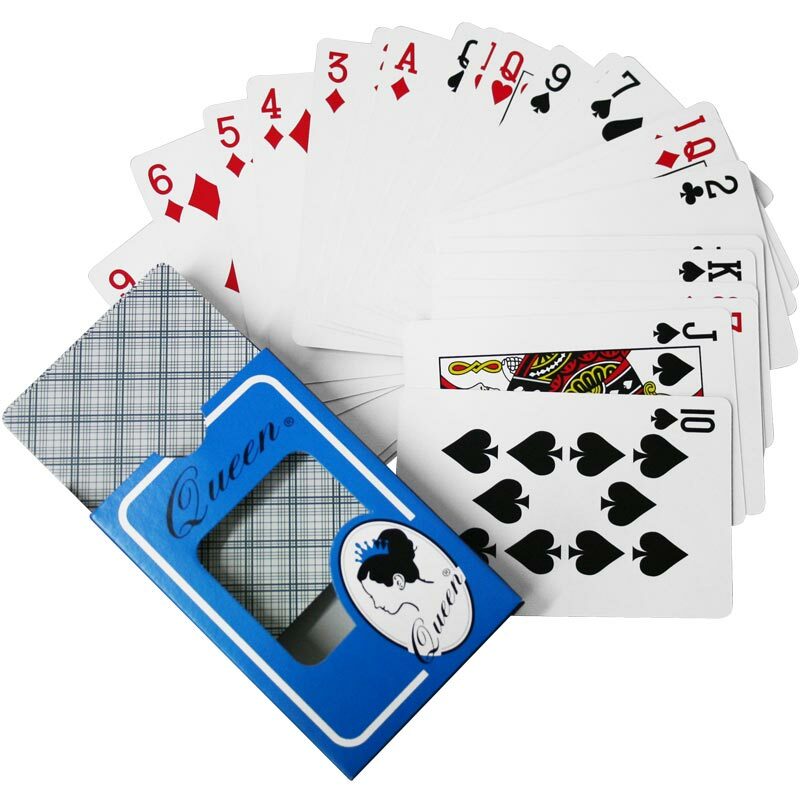 These playing cards are exactly what I was looking for and at the right price. I have bought a large number of packs for my Whist club and everyone is quite satisfied with them. More will be purchased as necessary. The design on the back of each card is quite ordinary, as it should be, and the printing and colour rendering on the face is perfectly acceptable. The cards are thin enough to handle well when just out of the pack, but they seem robust enough to last for a good few evenings of play. Anyway, the price is good, so new packs every season is hardly going to break the bank. very good for the money at that price you can replace them as soon as they look a bit rough.